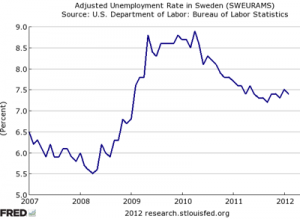 Is Sweden a Model to Follow? Many “socialists” advocate following the “Nordic model” or the “Scandinavian model“ for the development of society and the economy. Per-Åke Westerlund of Rättvisepartiet Socialisterna (Socialist Alternatives’ sister party in Sweden), explains how Sweden has become dominated by neo-liberal capitalism. 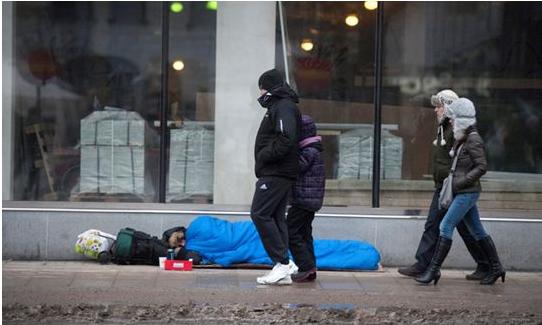 Sweden today is no model to follow for workers looking for justice and improved conditions. ”Never before has the class differences in Sweden been bigger”, the daily paper, Aftonbladet, wrote on 9 May this year. One tenth of the population ”owns half of all money” in a population of nine million. Over the last decade, 100,000 jobs have been lost in health care, while 500,000 individuals have become millionaires. It’s true, there was once a ”Swedish model”, but that was in the 1950s and 60s. Swedish industry – steel, mining, forestry, and shipyards – was unharmed by World War II and made huge profits from the rebuilding of Europe. The state cooperated and supported big business companies like Ericsson, Volvo, Saab etc. In exchange for no strikes, workers gained improved living standards, improved public service and probably the best workers’ pensions in the world. On the basis of strikes and workers’ struggle in the early 1970s, safety conditions and labour rights were improved. The shortage of labour and women’s struggle also led to a huge influx of female workers into the workforce and the establishment of public childcare. These social democratic policies gave a small ”glimpse of socialism”, but they never challenged the power of the capitalists or fundamentally changed the state apparatus. Eventually, the pressure from global and Swedish capitalism forced social democracy, supported by the trade unions leaders, to dismantle its own reforms. In the early 1990s, a deep three year long recession proved the ”model” – to be like an umbrella, only working in sunshine. Small steps of cuts in the public sector became leaps. In the 1990s, the social democratic Prime Minister, Göran Persson, boasted a ”world record in cuts”, with 130 billion SEK (€15bn euros) in cuts in a few years. Health care and all public services were under attack, alongside worsened rules for the unemployed, sick and pensioners. 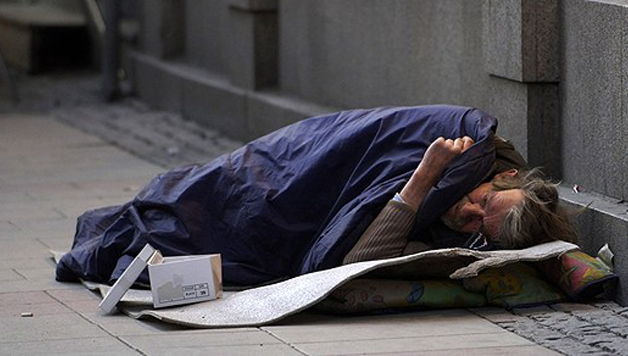 A ”pension reform” that neither Italian nor French governments have dared was implemented. When the crisis argument was long gone, the neo-liberal and EU inspired policies continued. Public transport, the energy sector, post service and telecoms were opened up for private companies. The result was massive job redundancies and higher user fees. The employers’ federations praised the ”brave” government and Göran Persson was for a long time the bosses favorite prime minister. In a global chart of ”economic freedom” (read: capitalist freedom), Sweden climbed from 40th place in the 1970s to 22nd today. The public sector’s share of GDP fell from 70 per cent to 50 per cent. In 2006, a new right-wing government was elected which immediately stepped up attacks on workers and privatizations. Fees for unemployment insurance were increased by 20-40 euros a month at the same time as the unemployment benefit was cut. One result was workers leaving the trade unions, in order to save money (trade unions are responsible for collecting social insurance contributions). 140,000 members left the unions from January to September this year. The government aims to create a low wage market, forcing unemployed youth to take jobs for 800 euros a month and this in a situation when company profits are higher than ever. The new government also want to privatize as much as possible. Already before the last elections, many schools and small hospitals were privatized – financed by the public sector but run by profit-making private companies. Now the pace of privatisations is being stepped up. Next year, one third of all pupils in Stockholm, from 7-16 years old, could be in private schools. This counter-revolution against the reform ”model” has not been unopposed. Workers, school students and women have gone out in struggle to defend the progressive reforms. The main obstacle to organizing struggle, however, is the trade union leadership. They have strong links to the social democratic party. They do not believe in workers’ struggle, but hope for new talks and negotiations with the employers – even about limiting the right to strike – in order to return to ”normality”. But the time of the ”Swedish model” is gone and its weakness is exposed. What is needed now is to build fighting and democratic trade unions and a new mass workers’ party decisively on the side of working class families. Next articleMarch 15 National Day of Action Huge Success!